Many business owners and property managers are aware there are numerous roofing solutions for flat roofs in Lubbock, TX. However, most haven’t heard of a restorative roof coating. Because of this, we receive many questions from customers who are curious about whether a roof restoration will be a good option for them. We have made a FAQ’s list to help you out with questions you have. If you still have questions, you can reach us at (806)-712-8162. What Kind of Roofing Systems Can be Fixed With a Roof Coating? 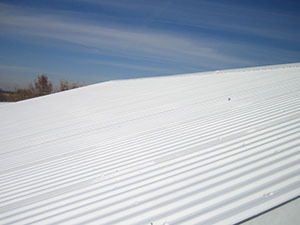 The majority of commercial roofing systems can be coated. These include EPDM, PVC, TPO, Metal, Modified Bitumen, Built Up, and many more. If your roofing system isn’t listed, call us and we will be glad to provide help for you and decide if it can be coated. Why do I Need to Coat my Roof If There are Replacements and Repairs? Roof coatings are a lot eco-friendlier than replacing your roof. 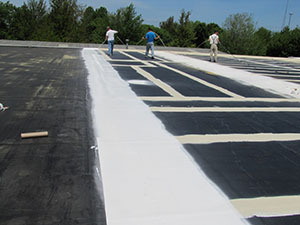 Roof coatings don’t require tear-offs, and it includes much less labor. This not only helps the environment, but it helps you save as much money as you can. Are you constantly having to have your roof repaired? Does your roof leak more often then it did a year ago? If so, a simple roof coating can fix these issues and make a seamless, watertight barrier. What are Some Advantages of a Roof Coating? 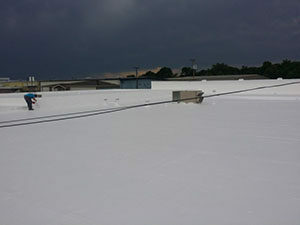 A roof coating will be able to enlarge the life of your existing roof. Coatings can reflect the sun’s bright rays, this can save you a substantial amount of money on your energy bill. Roof coatings are seamless and waterproof, because of this they fix a number of issues including tears, leaks, blisters and cracking, ponding water, and much more. Can I Recoat my Roof for Extra Protection? The answer to this is yes you can. Roofing systems aren’t going to last forever, after all, they are unprotected against the elements. When your roof needs to be restored again, another coating will work great. If you are wondering if you are able for a coating, call us at (806)-712-8162 to get a free onsite roof inspection. 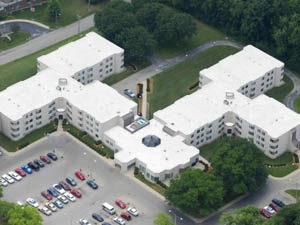 Your commercial roof does a lot for your commercial business. From guarding the equipment and valuables of your business to providing a comfortable and productive work environment for your employees, your commercial roof plays a crucial role in ensuring the stability of your commercial business. 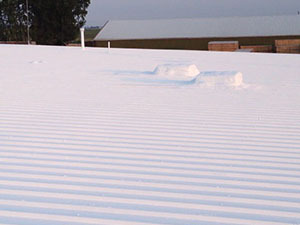 Over your commercial roof’s lifespan, it will experience a number of issues and problems. Timeliness in handling these issues is essential to ensuring your commercial roof is in tip-top shape. However, running a commercial business is a heavy responsibility. 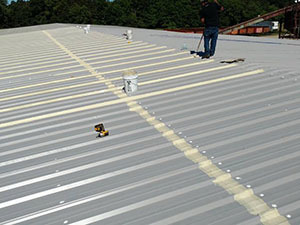 If you want to give your commercial roof the proper care it needs while removing the hassle and stress of it, ACR Commercial Roofing may have the solution for you. 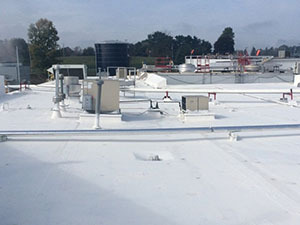 ACR Commercial Roofing provides premium roof coatings for our customers, which reinforces your commercial roof while also extending its lifespan. ACR Commercial Roofing has been servicing the state of Texas for 20 years and we’ve built a solid reputation with our customers. We believe in honesty and transparency with all of our customers and keep constant communication from start to finish of your commercial roofing project. If you are interested in checking to see if your commercial roof is eligible for a roof coating system, call us today at (806) 669-7777. We look forward to speaking with you. When running a commercial business, you have to manage and maintain all aspects of your facility and employees. It can get extremely stressful and the thought of roof damage could easily pass over your head. This is how little roofing issues develop into huge headaches. The longer you wait to address these roofing issues means that the roofing damage has an opportunity to affect more areas of your building. 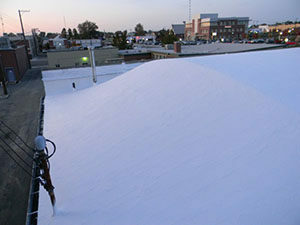 If you want to preserve your commercial roof while also removing the stress and excessive costs of roofing, a roof coating system may be the solution for you. A roof coating system will give you the protection of any conventional roof repair, but it also makes maintenance easier and extends the life expectancy of your commercial roof. If you would like to learn more about our roof coating systems, contact the ACR Commercial Roofing staff today at (806) 669-7777. We understand that time is money for all businesses, which is why we strive to deliver our services promptly and efficiently so you won’t have anything to worry about. The faster we have your roof coating system installed, the quicker you can start saving money and time and start being able to focus all your energy on improving your commercial business. Call the ACR Commercial Roofing team today to schedule an appointment at a time convenient to you to have one of our members assess your commercial roof. You can reach us at (806) 669-7777. We look forward to working with you. Why are flat roofs such a popular commercial roofing option? Flat roofs are the leading choice for commercial roofs. From their easy access and long lifespan, to their ability to accommodate your HVAC systems, property managers and owners have long been relying on them to protect their buildings. For a commercial roofing contractor that can quickly and correctly address all your flat roofing needs, ACR Commercial Roofing is your best bet. We proudly service Amarillo, Texas and would be happy to add you to our ever-growing list of satisfied customers. Call us today at (806) 576-4228. Can my flat roof be coated? 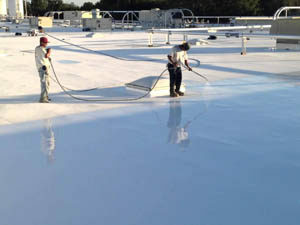 There are several factors that determine if your commercial flat roof can be coated. Such as age, proper installation of existing roof, extent of damage, etc. After a thorough roof inspection, our technician will gladly discuss your roofs eligibility. To learn more about our premium flat roof coatings please give us a call at (806) 576-4228. One of our office members will schedule an appointment for a no-cost roof evaluation to have one of our technicians assess your flat roof coating options. 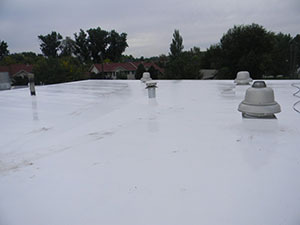 We provide our flat roof coating services to Amarillo, Texas and the surrounding cities. If you are interested in saving time and money without disrupting your day-to-day business, call us for a no-obligation flat roof coating estimate. You can reach us at (806) 576-4228. Here at ACR Commercial Roofing we have been serving the great state of Texas for over 20 years. There is nothing our technicians haven’t seen, repaired, replaced, coated and improved. For hassle-free service provide by respectful professions, we are here for you. Let our team turn you into another satisfied, lifelong ACR Commercial Roofing customer. We look forward to providing you with a long-lasting flat roof coating.